Pare back your styling with an effortless pair of drop hoops. This isn’t your average hoop however. 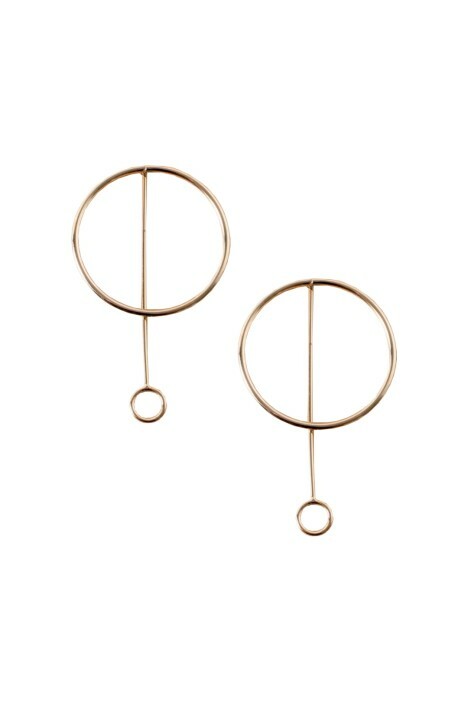 Featuring an a abstracted take on the classic hoop trend, a smaller drop ring backing adds a dimensionality where this beautiful duo moves in harmony. How can you say no to this two-in-one set, stylish enough to dress up a classic cocktail silhouette available to rent and easily looks great with scoop necklines! Get hands down effortless and classy with this minimal design. Perfect to add a little glam for any day time event or enhance a more monochrome look. A super easy and versatile earring that can take you literally anywhere! Read or blog on the minimalistic guides to dressing for more race occasion-wear.